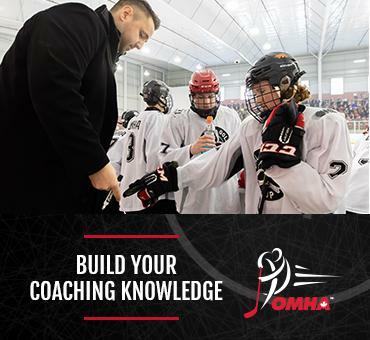 To begin preparations for the 2018-2019 Hockey Canada Program of Excellence, the Ontario Minor Hockey Association (OMHA) is accepting applications for Coaches and Trainers interested in the Under-16 Program of Excellence. The OMHA will have two teams participate in the 2019 OHL Gold Cup from May 1–5, 2019 at the Activa Sportsplex in Kitchener. Positions available include Head Coach (2), Assistant Coach (2) and Trainers (2). The OHL Gold Cup is an annual event created to feature Ontario’s top Under 16 players. This event will not only showcase Ontario’s talent, but serves as an evaluation and selection process for Hockey Canada and forms part of the continuum of development through camps and competitions for players in their selection and preparation to participate in international events in the Hockey Canada Program of Excellence. The top players as identified at the OHL Gold Cup will attend Hockey Canada’s Under 17 Camp where Hockey Canada staff will select players to represent Canada at the World Under 17 Challenge held annually in November.